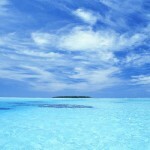 RTW flights from UK to Singapore, New Zealand, Samoa, Cook Islands or French Polynesia & Hawaii £1190! Cheap return flights from Manchester to Mexico City from £395! Looking for some interesting tip for a trip of your lifetime consider our solution with Air New Zealand and their partners Singapore Airlines, Air Tahihi Nui and United when departing from the UK. With this solution you would visit the most iconic and beutiful world destinations. You would fly from London to Singapore, New Zealand then to Samoa, New Caledonia, Cook Islands or French Polynesia. You last stop would be in Honolulu, Hawaii before you would return back Europe. Such a Round-The-World ticket is now available for £1190. (€1329). You can also depart from Manchester (but it is necessary to return from California to London). We have managed to find these flights with Air New Zealand in April, May and June 2018. If you would struggle with your itinerary feel free to contact us via FB page or by mail. The cheapest option requires max stay 1 month but you can also find some interesting solution for itineries with longer stay. This is definitely not a low cost trip but you have an unique opportunity to visit the most incredible places at once also booked under just single ticket. With this offer you can build your own round the world tour..
You can also save some decent money when booking your hotel room in those cities. Have a look on following promo deals that offer Booking.com or Hotels.com.Planning a trip of your lifetime consider also this solution to New Zealand, French Polynesia, Easter Island, Chile and Brazil. Booking sample of RTW flights from UK to Singapore, New Zealand, Samoa, Cook Islands or French Polynesia & Hawaii £1190! In this case you would fly on route London – Singapore – Auckland – Apia – Honolulu – London. Travel dates as per above itinerary sample. As mentioned in the article you can also fly to Los Angeles instead of Hawaii.